If you’ve had astrological readings in the past, you know that they can get pretty complicated. And, while it is easy enough to understand the outcomes of your reading, it is pretty tough to understand how and why those outcomes apply to you. We’ve put together a list of basics here—sort of an Astrological Readings 101. Read this, and when you come in for your next reading you’ll be a little more informed. And, you can always ask questions. Don’t be afraid to ask if you don’t understand something! Let’s just put this one to rest here and now. Newspaper horoscopes and other daily and weekly mass-market astrological predictions, while fun, are not really rooted in astrology. If they are based on astrological principles, they are so broadly focused that you can’t really expect to get any meaningful information from them. 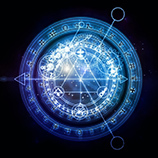 Your personal astrological profile is dependent on so many things like the exact date and moment of your birth, that a reading from an experienced astrologer, is really the only way to get useful insights. 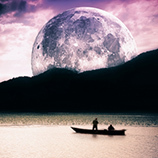 And, while your astrological reading will give you an indication of the things that may be impacting your life in the coming months or years, it can not predict how you will react to those impacts. The choices you make about how to respond, are what will determine your future. 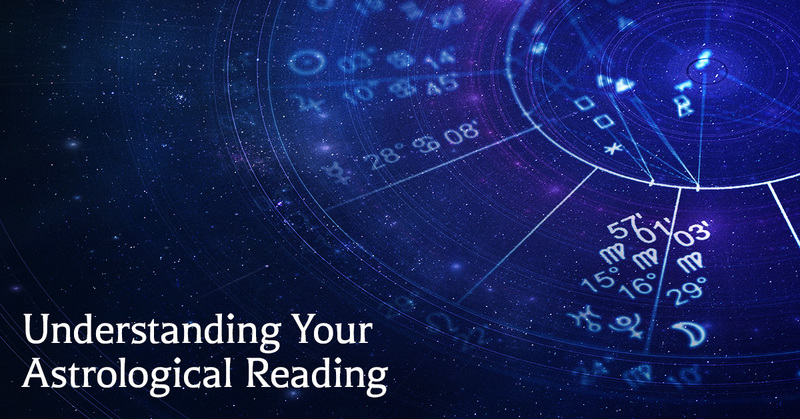 Your reading may indicate problems that you will face, lessons that you need to learn, and your natural inclinations toward certain behaviors or predispositions. But it is only an indication of the energies that drive you, and the obstacles and opportunities they create. Your free will, and how you choose to use the information you’ve received from your astrologer, are what really matter. An astrology chart is tough to read. 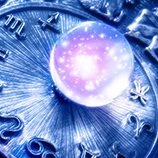 When your astrologer walks you through yours, here are some things you should understand. Your zodiac sign appears in the outer rim of the chart. Your sign provides basic information about your personality traits. They are generalizations however, and are affected by many other factors. Identify new skills and abilities you didn’t know you had, or find new ways of using your skills and abilities. Better understand how to actively pursue changes that will impact the path your life takes. Have a new awareness of the cycles of life. Life moves in short and long cycles, understanding how they effect you can help you make changes in your life during a time that they are most likely to be successful. Make better choices in your personal relationships and career. Take a clearer look at what has influenced you in the past, including your past-life Karma, and make an informed plan for the months ahead. This is a very basic overview of how to think about your astrological reading. If you’ve never had a reading before, we hope you’ll come see us for one. And, if you’re an old pro, come in for an updated reading. If you really want to benefit from your readings, plan to have a new reading every year on or near your birthday. We can certainly read your chart much further out into the future, but if you are bombarded by too much information all it once, it can be difficult to interpret it and even harder to take proper action.